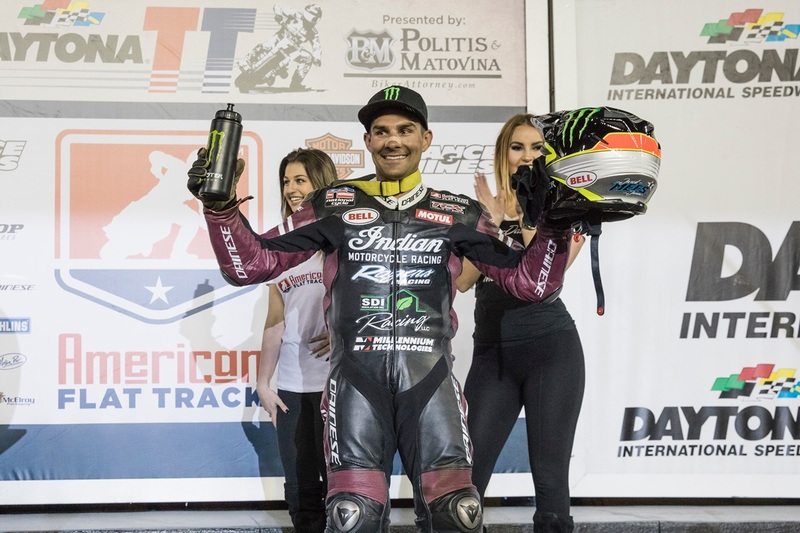 After a 63-year hiatus Indian has marked its first full season return to the American Flat Track with a 1st and 2nd place on the Scout FTR750. 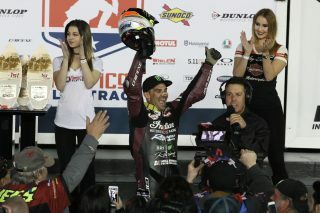 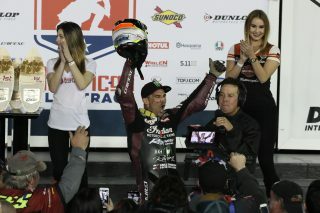 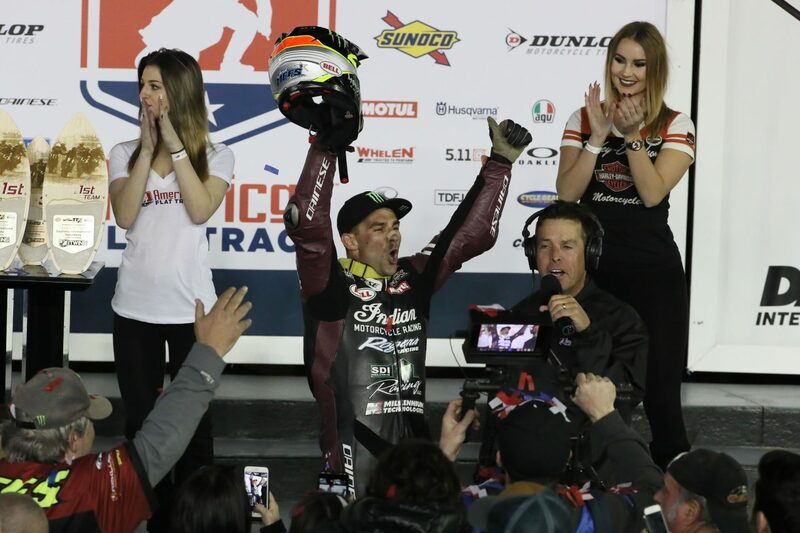 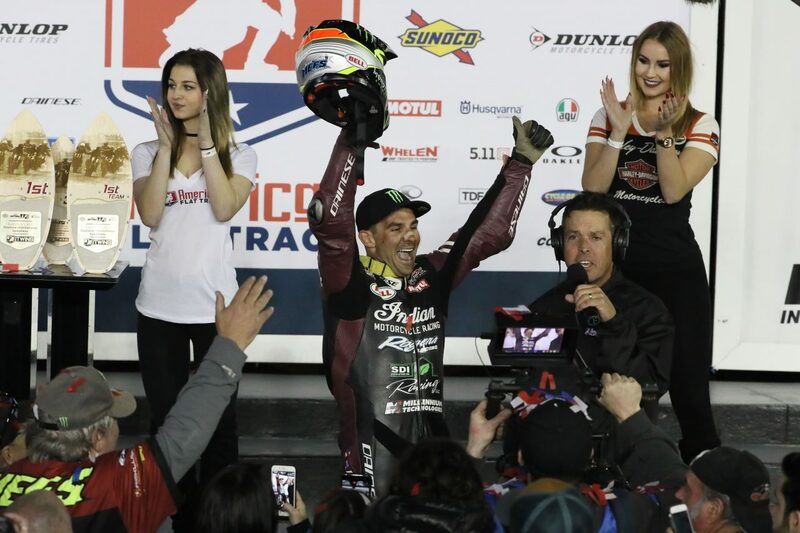 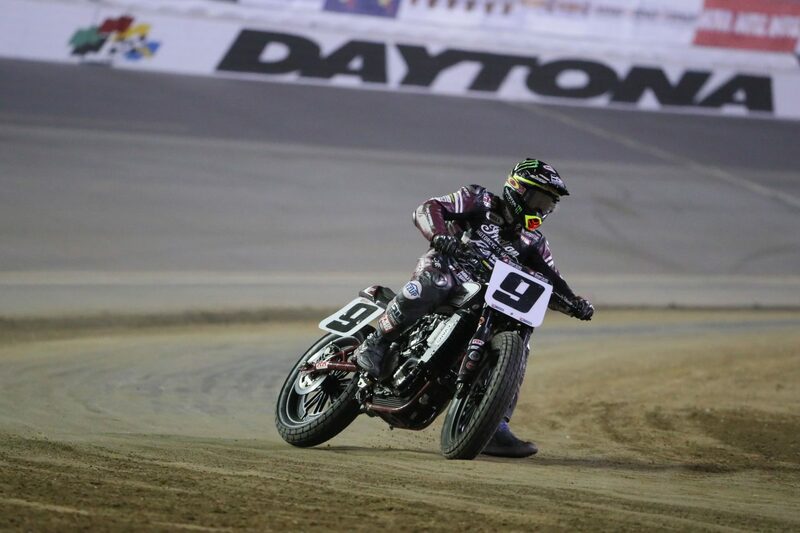 Jared Mees, No.9, completed the 25 laps of the Daytona TT circuit in 12:40.162, also posting the fastest lap of 0:29.777 and winning with a 9.174 second margin. Joining the Indian Motorcycle duo on the podium in third place was Henry Wiles on the No. 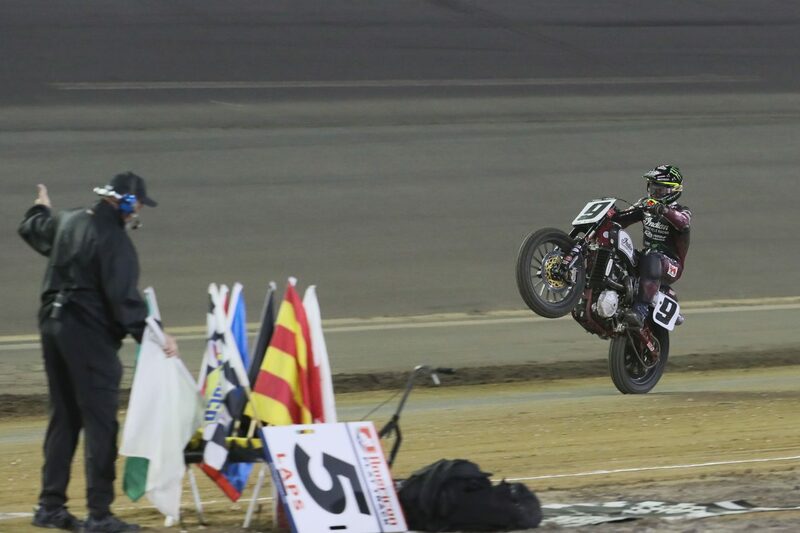 17 DPW Racing Kawasaki Ninja 650. 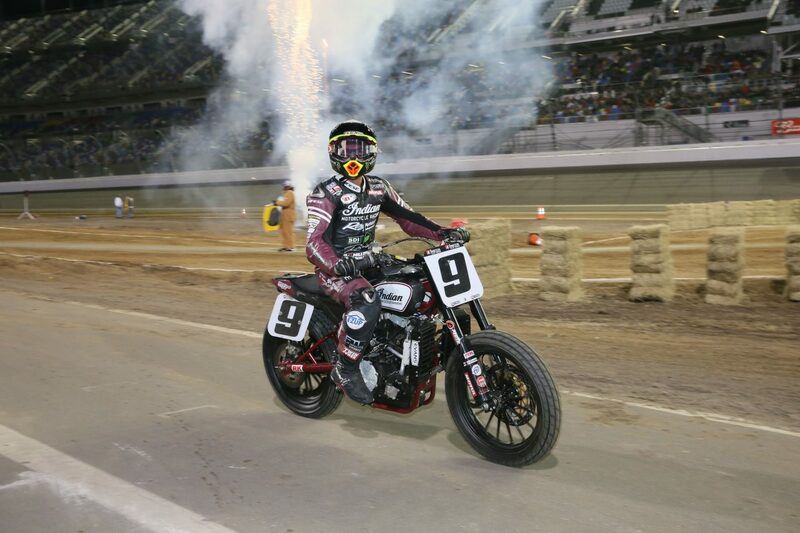 The third member of the Indian wrecking Crew, Brad Baker, fell in the first heat, was concussed and sadly did not return to the main race. 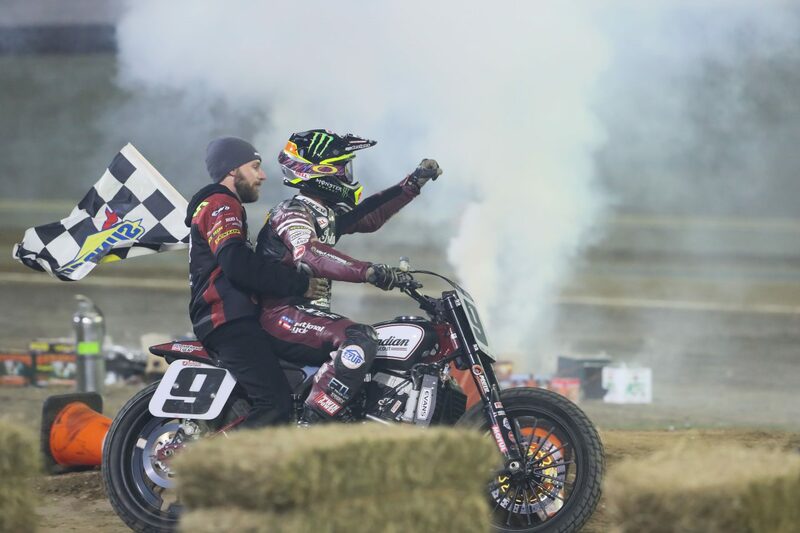 All eyes have been on Indian after assembling a team featuring three of the sport’s most decorated riders and armed with Indian’s state-of-the-art Scout FTR750. 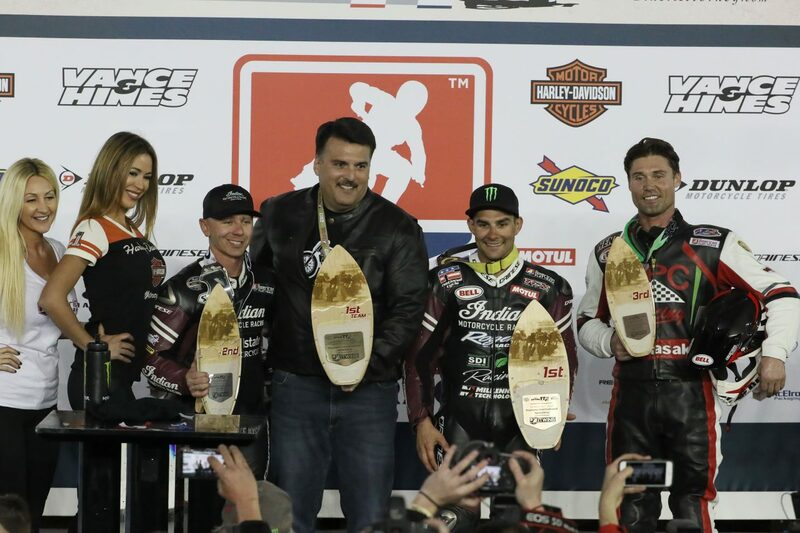 This season-opener brought dramatic validation to Indian’s bold re-entry into the sport it had once dominated, reigniting the Indian Motorcycle versus Harley-Davidson rivalry during the sport’s glory days. 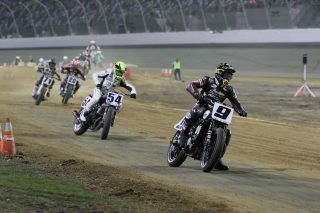 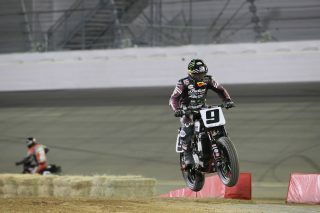 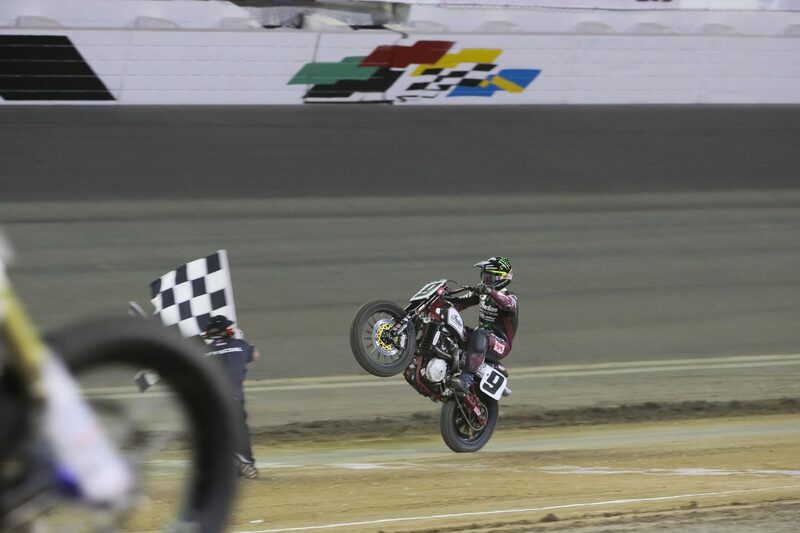 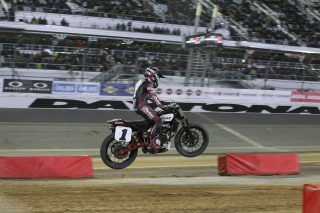 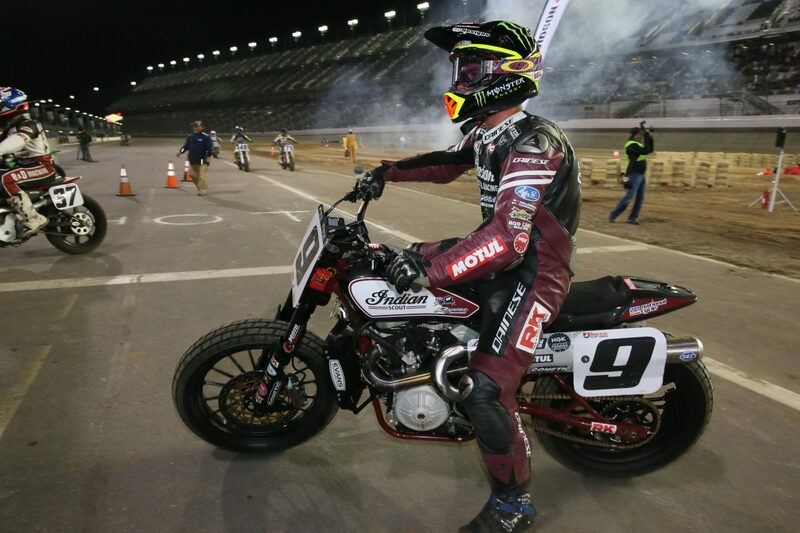 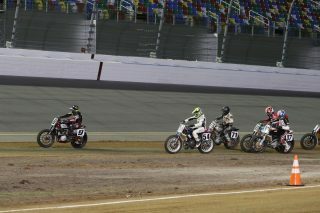 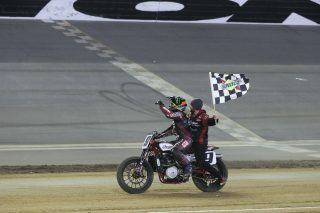 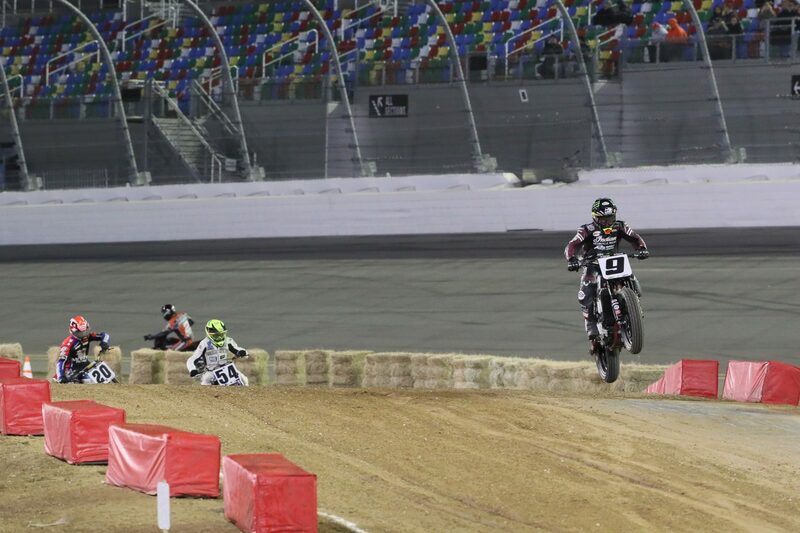 Piloting Indian’s new state-of-the-art Scout FTR 750, Mees finished first and third in the evening’s first two heats. The main event began with Jared Mees taking the lead in lap 1 heading into the first turn and the three-time Grand National Champion never looked back. 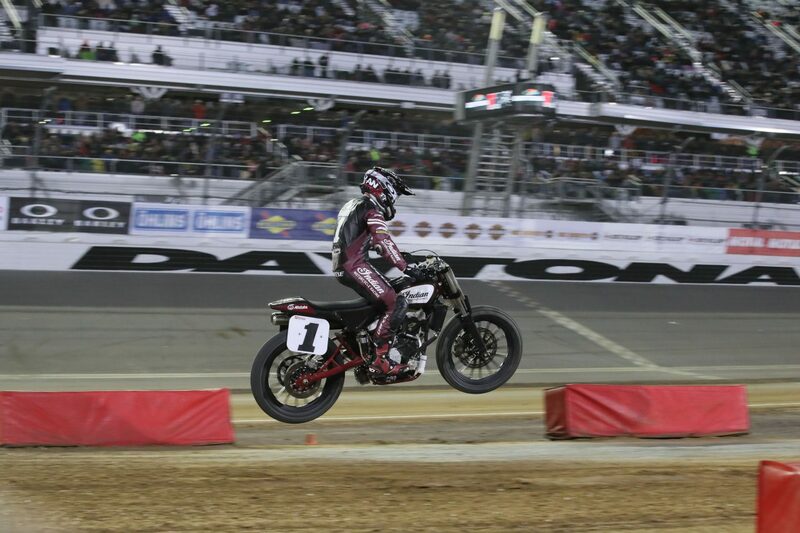 Meanwhile, Bryan Smith rode the majority of the main event in fifth position before catapulting to 2nd over the last five laps, joining Jared Mees on the podium. 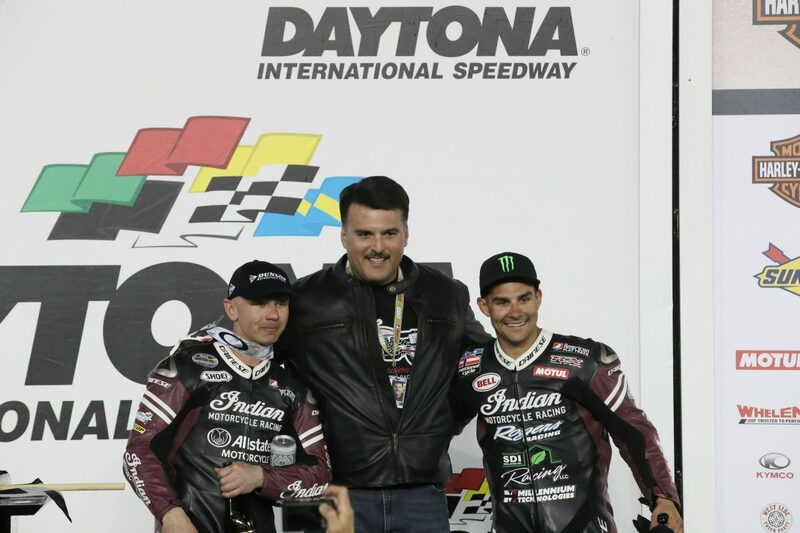 After such an impressive showing by the new Indian ‘Wrecking Crew’ in Daytona, it’s clear that Indian Motorcycle Racing will be a force to be reckoned with in 2017. The next race is just a week away on Saturday 25th March on the Atlanta Short Track, a round sponsored by Indian Motorcycle.